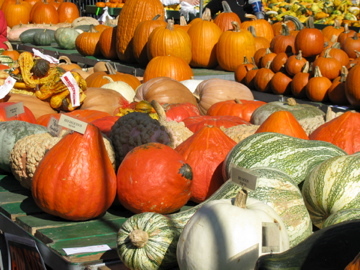 I love pumpkins and squashes. 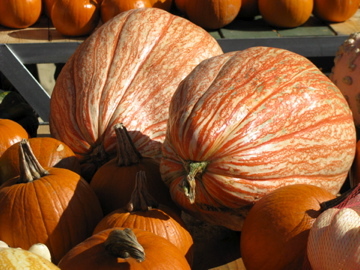 As well as being so evocative of fall they are so amazingly versatile. 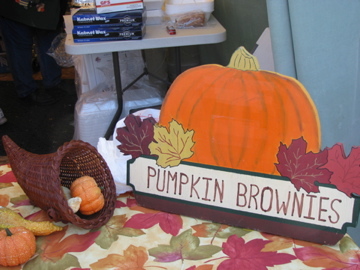 Anything that can be made into into curries, desserts, ice cream and so many other wonderful foods is easy to love. 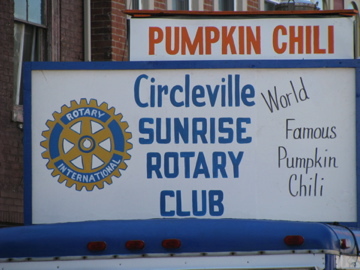 The Circleville pumpkin show is a true pumpkin pageant paying homage to all things pumpkin. 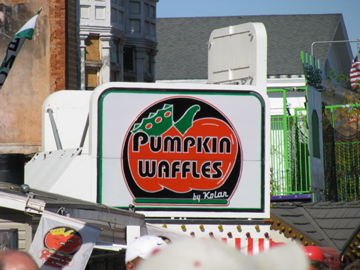 This was my first visit to the festival and we braved the traffic to join the throngs. 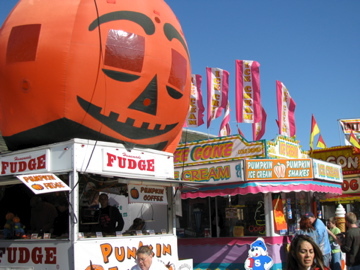 It was very busy, in part due to the beautiful clear blue skies. 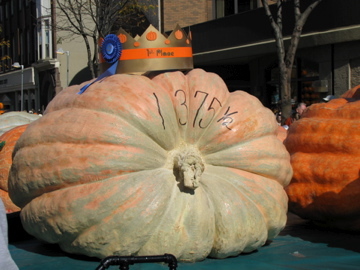 The range of pumpkins on display was staggering. 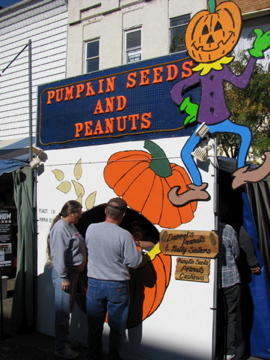 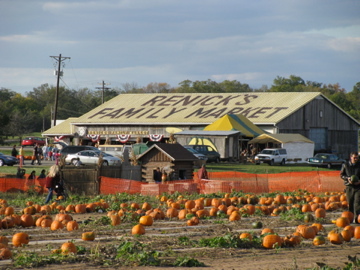 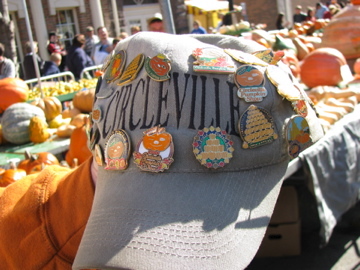 The whole town center of Circleville is over run by the pumpkin festival for four days with street after street of food vendors, arts and crafts, sideshows fairground rides and all things pumpkin. 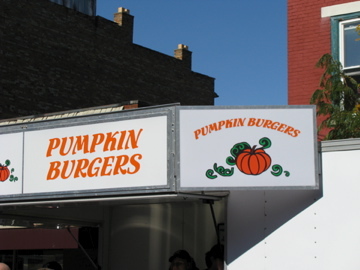 In addition to all the pumpkin paraphernalia, there is enough other fast food (mostly of the fried variety) to make you think that you are at a state fair. 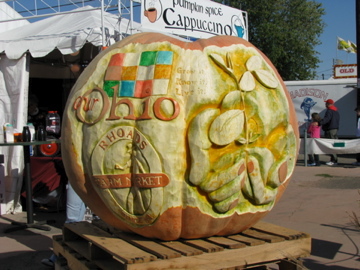 There is a parade, pumpkin carving, cookery demonstrations, a pumpkin competition and all sorts of entertainment. 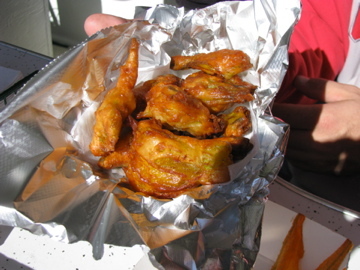 I think that was about 25 different things, or which we tried an impressive variety. 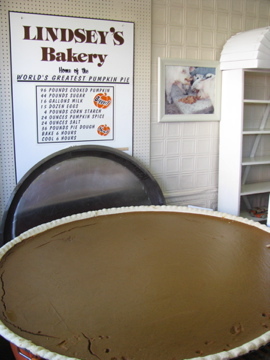 Apparently we missed some of the other candies available including pumpkin buckeyes, brittle and butter creams. 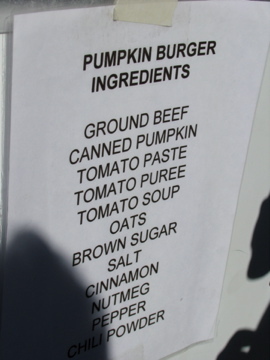 Sadly the pumpkin chilli had sold out before we got there, as word has it it is really good. 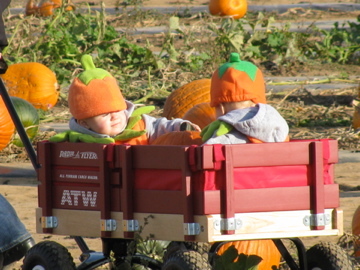 Even I might have been a little pumpkin-ed out by the time we left, but not for long as we stopped at a pumpkin patch on the way home.